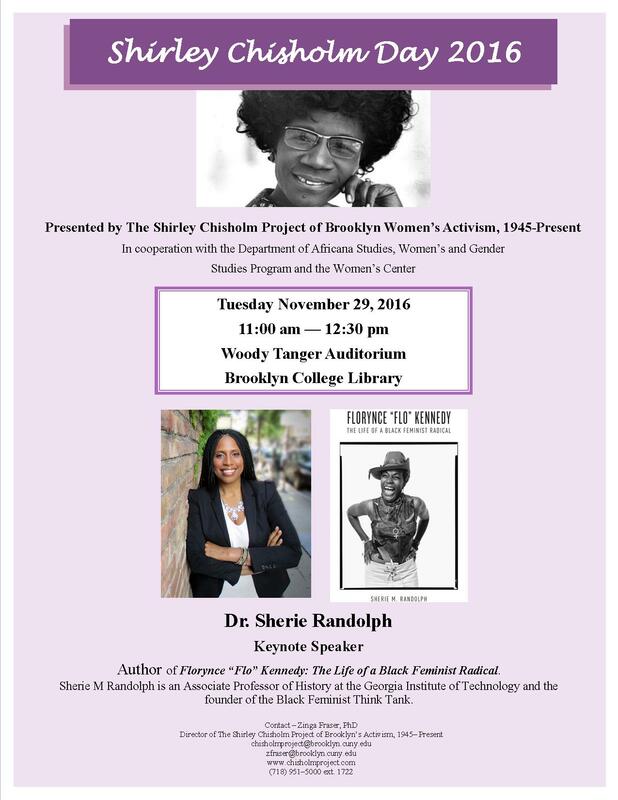 You’re invited to attend our annual Shirley Chisholm Day on Tuesday November 29th at the Woody Tanger Auditorium held at the Brooklyn College library! This year our keynote speaker is Dr. Sherie Randolph. Dr. Randolph is an Associate Professor at the Georgia Institute of Technology and the founder of the Black Feminist Think Tank.